for complete health clearances check with Gearhart Aussies. 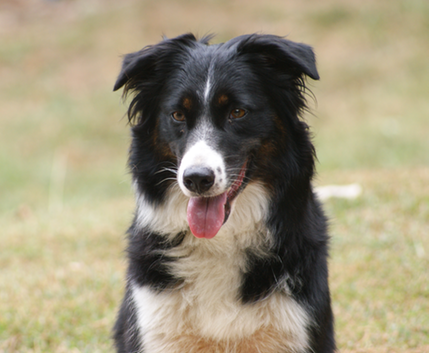 Lizzy is co-owned with Gearhart Aussies. Lizzy is proof that great things can come in little packages. She is always ready to do something, and can be very sweet and cuddly. However she also has no qualms about moving cattle and sheep. She really does not have the patience for ducks and chickens, though she will work them if its required. On her way to her WTCH she earned a couple HIT's and HC including High Combined Open at CASA's pretrial at Texas ASCA Nationals 2010. Lizzy had a wonderful 2013 ASCA Nationals, qualifying every run but one, and ending up 12 in MVA. Once again, in 2014, she was a star at Nationals, qualifying all but one run (advanced cattle- but I fear she had not worked cattle for a year) and ending up 7th (out of 34 qualifiers) in MVA. She is a great lesson dog, as she has a wonderful sense of flight zone, and will work for any beginner.